Confused about a server's status? Check https://www.skyblocknetwork.com/health for live updates. We are pleased today announce a series of updates. The sole purpose of these updates are to give back to our players and reward them for their dedication to the server! Effective Immediatly, we will begin rewarding players for playing every day. These rewards get bigger over time. New leaderboards will be added to the hubs (soon) to show who is in the top 10 for longest streaks. New commands: /streak and /streak top to track your streak. How will I know how long my streak is? A Broadcast will be made when you achieve milestones. Heart effects will spawn around you. An awesome sound will be played when you reach the achievement. How do I achieve an extra days streak? Can I catch back a missed day? Sorry no, you cannot catch back a missed day. We record the "Logged On" portion from your actual login event. So logging into the server fresh. What prizes can I recieve? All prizes are "Skyblock Network Points" which are awarded at larger and larger levels as the streaks get longer. We are very happy to introduce passive points. You will now be awared with points just for playing! You will receive 10 points per hour playing on a non hub server. You will receive a reduced rate per hour while on hub. Tired of waiting up to 24 hours to receiving your vote rewards? From this point on, all vote rewards will be issued instantly! You will see the notification in game. - The 1st SkyBlock Server EVER!! with the ability to mine and play in full SMP Survival! 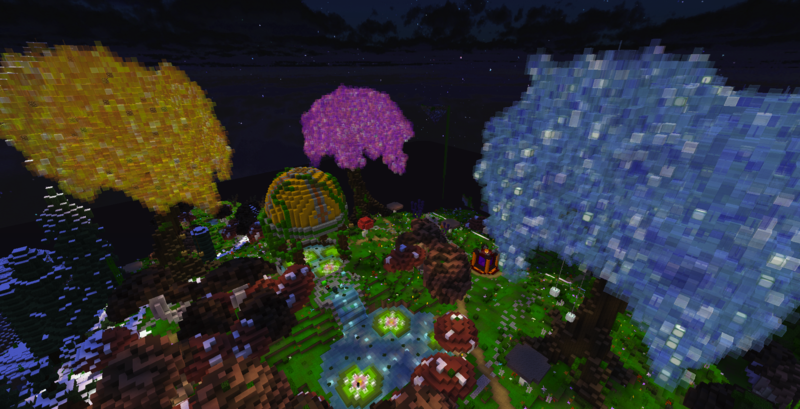 Nebulous_Owl It looks amazing well done to who ever built this, I love it again well done! We are excited to announce some new updates for OPSB! By popular demand, we have now introduced a new PVP zone to OPSB. Be careful that you don't lose your gear! Simply go to /warp fish and start. This will be the only place on the server where you are able to go fishing. Fish will be worth $200 each. Defend your pond! Be careful! You can be combat tagged in the PVP fishing zone. This means you wont be able to fly or logout to escape from losing your items. Every few hours, OPSB will now find there is an Envoy event. An envoy event will drop crates in the new PVP warzone (/warp fish) and will include many goodies for you to collect. Simply use /envoy to see the the time until the next envoy. Books in the Point Store! 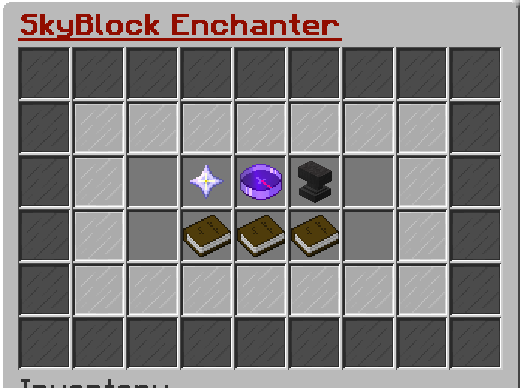 You will find on the Points Store a variety of Custom Enchantment books available for the OPSB and Acid Island servers. These include Common, Rare and Legendary books. Good morning/afternoon/evening to our favorite players! We have 2 announcements we would like to share with you guys today! *Our megacrates have been updated with our limited time Valentine's Set. *Skyblock custom enchants have been added to our OP Skyblock server! If you have any questions regarding special enchants, feel free to reach out to a member of the Staff Team and we would be happy to assist. Thank you all for your time and have a lovely day! Acid Island - Exciting Updates!! Hello fellow Skyblock Network players! We are pleased to announce some exciting additions to our Acid Island server! Skyblock Custom Enchants - spicing up the way we enchant our gear! Island Borders - allowing you to see the edges of your island easily for building! *Border color changes are purchasable in our Server Store, so go check it out! Naowan How do you see the island borders? Is there a command for it?